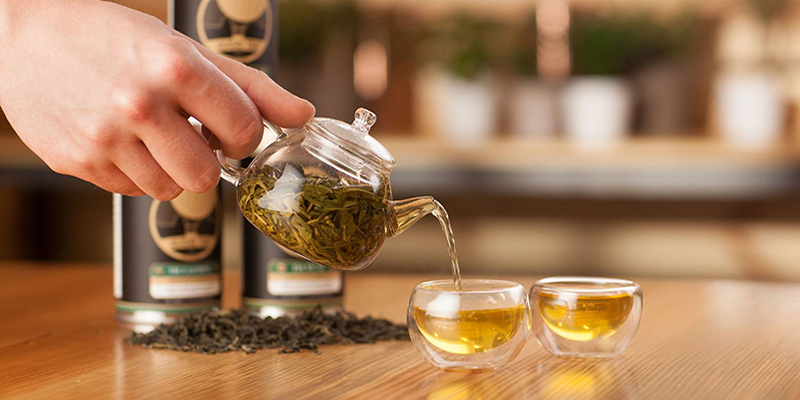 Seeking black, green, white, oolong and other varieties of loose leaf tea, herbal teas or bubble tea to quench your thirst? Kansas City’s tea companies provide close access to premium flavors. Hugo Tea imports certified organic tea direct from Chinese farms. While the KC-based company does not have a café, it sells premium packaged tea online and to retailers throughout the region. Sample the 100 Year Black Tea, which is smooth with flavors of warm honey and malt and contains leaves plucked from hundred-year-old trees in China. Grey Line is Hugo Tea's hand-blended Earl Grey, crafted with bergamot oil from Italy's famed Reggio Calabria. Tea taproom The Brewkery uses black tea sourced from Hugo Tea as the base for its Lucky Elixir brand of kombucha. Guests may purchase fresh flavors on tap or buy kombucha in a growler or bottles to take home. 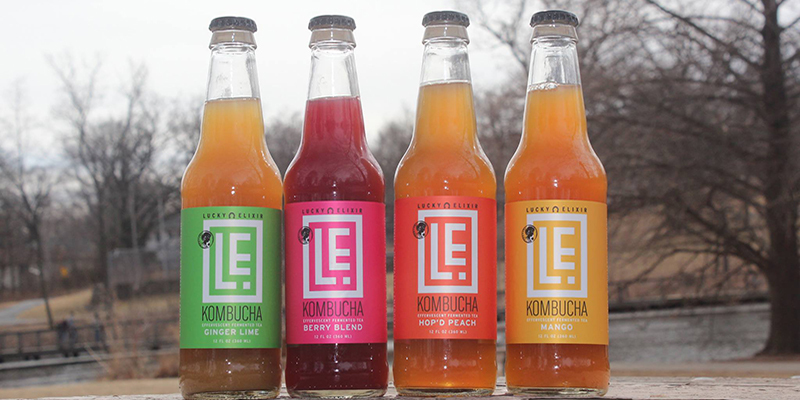 Lucky Elixir’s core flavors include mango, berry blend, “hop’d” peach and ginger lime. The taproom also has limited-edition flavors that rotate regularly, plus sandwiches, salads and snacks. 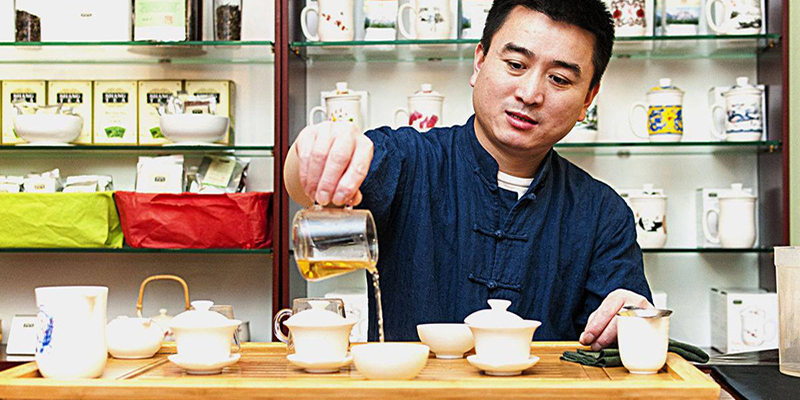 Shang Tea, an elegant tea house and retail shop operated by Zehua Shang in Crown Center, specializes in offerings sourced from White Tea Mountain in Fujian, China. Shang journeys to his tea farm twice annually for a two-month stretch to personally oversee cultivation and processing. The shop also carries green, red, and herbal tea and teaware. Kantean sources, packages and sells tea without any preservatives, synthetic flavors, artificial additives or oils. Find its tea online and at select stores, such as Made in Kansas City. 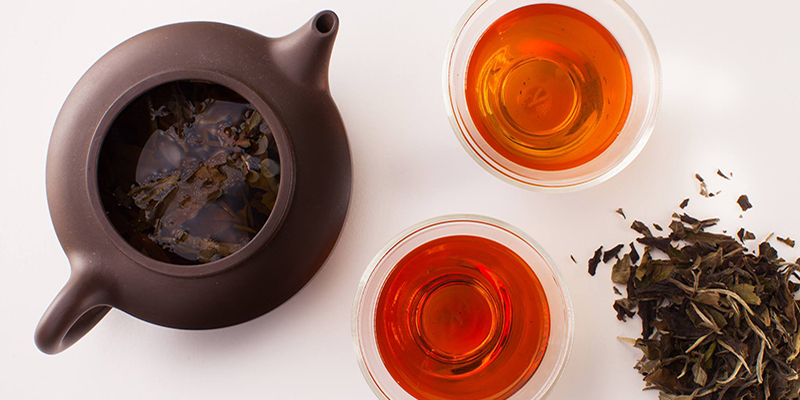 Try the Apache Black Tea—named after the Apache Trail in Arizona and hailing from the Fujian Province in China—for a sweet flavor with a hint of malty notes. Caffeine-free herbal Twilight Turndown blends organic chamomile, organic lemongrass and organic spearmint for a calming cup. 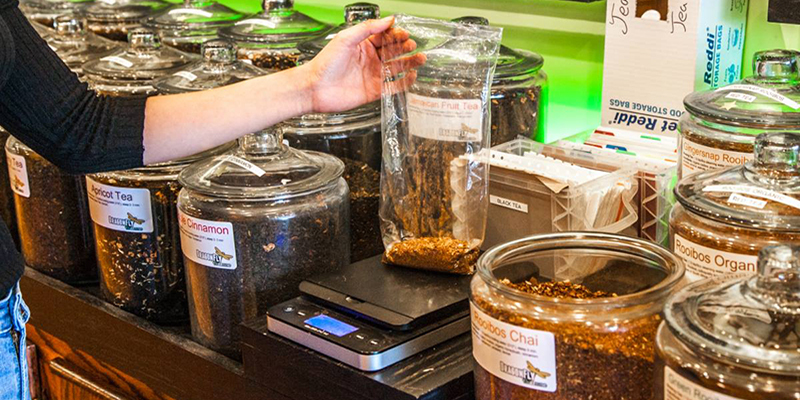 This tea shop sells 100 varieties of loose leaf tea, rooibos (herbal red tisane) and herbal tea, available in The City Market, Independence and the Northland. At Dragonfly, you’ll find tea lattes, bubble tea in a wide range of flavors, smoothies and other beverages for tastes of all kinds. 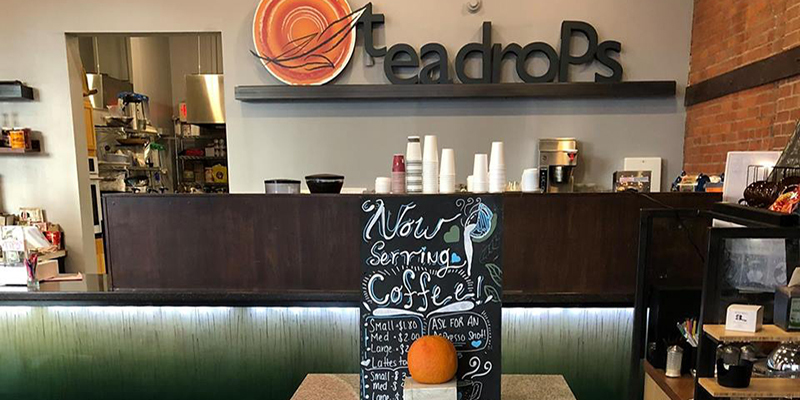 As one of the city’s first dedicated tea shops, Teadrops sells a full selection of loose leaf teas, tisanes, bubble teas and teaware at both Downtown and Westport, each touting a hip setting.